This communication is provided in accordance with European Union legislation on the processing of personal data and the Italian Privacy Code (art. 13 of Legislative Decree no. 196/2003) and the European legislation referred to in EU Regulation no. 2016/679 (GDPR), art. 13. The data controller is Azienda Agricola ed Agrituristica Gli Ulivi di Miccio Cherubina, with registered office in Sant’Agnello, via Passarano, 1 CAP 80065 (hereinafter referred to simply as “Data controller”). 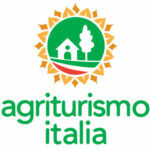 The website has a mainly informative function of the activities carried out by Azienda Agricola ed Agrituristica Gli Ulivi di Miccio Cherubina Therefore, in most cases, there is no collection of personal data from the navigator. In some cases, such as the “Contacts” section, in order for us to be able to answer your questions, we ask you to fill out a data collection form. In these cases, we provide the informative that specifies the use of data and other information required by law. We recommend that you read this information before providing the data. In addition, in limited cases where it is necessary to collect personal information for other purposes, this will be clearly highlighted in the legal information, in order to allow transparency and awareness to the user. This information is aimed to define the limits and methods of data processing for each service, on the basis of which visitors can freely express their consent (if necessary) and possibly authorize the collection of data and their subsequent use. This category of data includes: IP addresses, the type of browser used, the operating system, the domain name and addresses of websites from which access or exit has been made, information on the pages visited by users within the site, the time of access, the stay on the individual page, the analysis of the internal path and other parameters regarding the operating system and computer environment. Such technical/informatic data are collected and used exclusively in an aggregate manner and not immediately identifying them; they could be used to ascertain responsibility in the event of hypothetical computer crimes against the site or at the request of public authorities..
From this website you can link to other websites. The Data Controller declines any responsibility with regard to the possible management of personal data by third party sites and with regard to the management of authentication credentials provided by third parties.. The processing of personal data is carried out mainly using procedures and electronic media for the time strictly necessary to achieve the purposes for which the data were collected. The user, however, has the right to obtain the cancellation of their data in the presence of legitimate reasons. The provision of personal data requested from the data subject – unless otherwise specified – is optional, however, failure to provide them may result in the impossibility of obtaining the requested or to perform the activities indicated. The data processing connected to the web services of this site takes place at Aruba WebFarm. Personal data are handled only by technical staff specially appointed for the processing, or by any persons in charge of occasional maintenance operations. The personal data acquired through this web site are accessed only by subjects working on behalf of the Data Controller, specifically designated and responsible for managing the requested service, the same data are not disclosed. The subjects to whom the personal data refer have the right at any time to obtain confirmation of the existence of such data and to know its content and origin, verify its accuracy or request its integration or updating, or correction. In addition, you have the right to request cancellation, transformation into anonymous form or blocking of data processed in violation of the law, and to oppose in any case, for legitimate reasons, to their processing. The possible entry into force of new sector regulations, as well as the constant review and updating of services to users, may entail the need to vary the methods of processing personal data. It is therefore possible that our policy will change over time and we invite the visitor to periodically consult this page. For this purpose, the policy document highlights the update date.